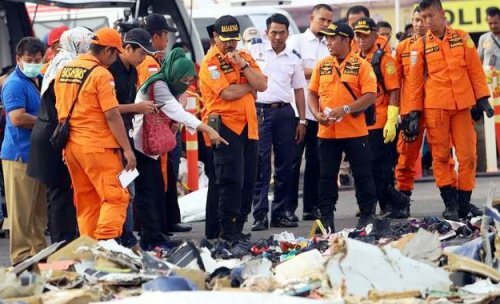 BINTANGNEWS.com – The Indonesia Automatic Finger Print Identification System (INAFIS) team of the National Police on Friday identified three more bodies of the victims of the crash of Lion Air JT 610 plane. The team managed to identify the bodies of the three victims after checking 67 body bags taken to the Raden Said Sukanto Police Hospital in Kramatjati, East Jakarta, since Monday (Oct 29). "The bodies belong to Candra Kirana, Monni and Hizkia Jorry Saroinsong based on the results of check conducted on 67 body bags containing body parts as well as on the outcome of a reconciliation session," the hospital's chief, Senior Commissioner Musyafak said in a press conference on Friday evening. The figure brought to four the number of bodies identified as of Friday. The team has earlier identified one body belonging to a 24-year-old woman named Jannatun Cintya Dewi.